Editor's Note: This is the first in a multi-part review series featuring fitness monitors and activity trackers. Over the coming weeks, AppleInsider will offer pros and cons for a number of upcoming devices, as well as those currently available. The Withings Pulse, like the company's other products, is well built, with a sturdy enclosure and highly-pocketable design. The slip-resistant "soft touch" material used as an outer shell is a good choice considering users will be constantly touching the device; swiping over the capacitive OLED touchscreen to access information like steps taken, stairs climbed, distance traveled and heart rate data. Smaller than a box of matches, the Pulse is incredibly lightweight and fits in just about any bag or pocket, including the key pockets in a pair of skinny jeans. In fact, Withings designed the device to be picked up and taken with you, not worn. The Pulse works when thrown in a handbag or backpack, and tracks steps just as well with the included silicone-covered belt clip. For some users, this grab-and-go capability is a great feature, though it could take a while to get into the habit of keeping the device with you at all times. Because the Pulse isn't physically strapped to your body, as with other monitors like those offered by Fitbit, Jawbone and Nike, it is easy to forget at home. Or worse, it may end up in the wash. Which brings up one of the design's downsides: lack of waterproofing. While no clear limitations are stated on the product's specifications, an idea of water tightness can be drawn from Withings' suggestion that users employ the belt clip during extended workout sessions to avoid prolonged contact with sweat. The unit is "weatherproof," which suggests some sort of resistance against moisture, but if you live in a rainy climate, or swim for exercise, the Pulse may not be your best bet. When not in use, the Pulse's OLED display remains hidden, but when the lone physical button is pressed, blue light shines through the matte black finish. The color is reminiscent of electroluminescent "Indiglo" backlights Timex has been using in their watches for over 20 years. While the display's 128 pixel-by-32 pixel resolution is not the sharpest, bold fonts and graphics get the job done and are readable when running. A recent firmware update also made the unit a bit more usable after larger icons were implemented for the rather small touch-sensitive area. While the display detects swipe gestures well, taps are another story. Touch areas are not clearly defined, and the touch panel is not as sensitive as most smartphones. Which brings us to another issue. The screen and UI are not very responsive and there is a noticeable delay between button presses or swipes and corresponding display changes. With such a low-energy device —our version lasted for the advertised two weeks per charge —a lack of snappy performance is to be expected. For some, however, the pause between each screen may become irksome. Adding to the lag time is the UI's unidirectional design. Without being able to back up, users have to cycle through the Pulse's suite of functions if they accidentally pass over the desired pane. The system is akin to a digital watch's menu button. 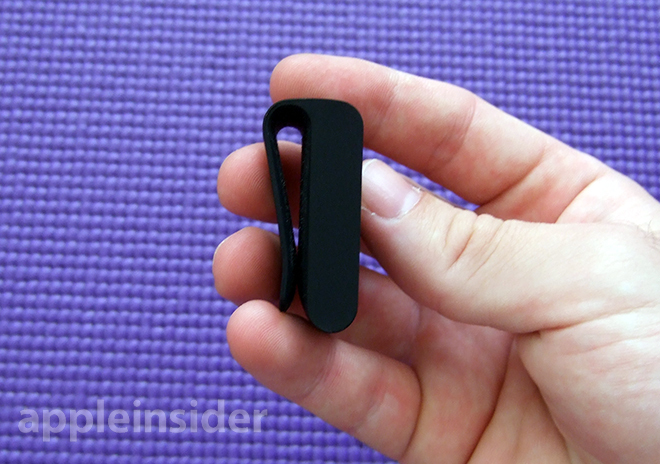 Around back is a built-in heart rate sensor, the Pulse's main draw and namesake. 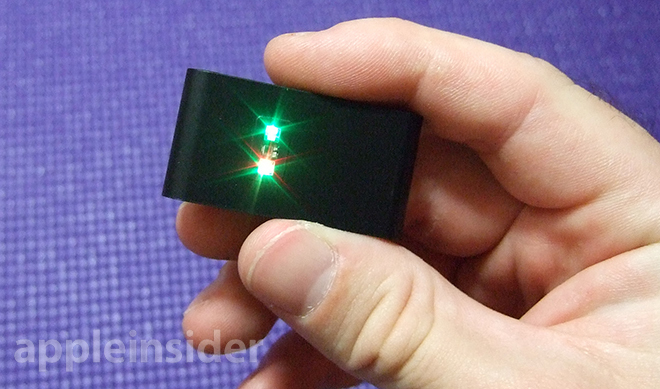 A tiny optical sensor sits between red and green LEDs, which emit light in controlled impulses. The device can distinguish slight changes in the contrast of reflected light caused by the rhythmic flow of blood through capillaries, which can be then translated into a pulse reading. Taking readings of resting, post-workout and cool-down heart rates is a great way to monitor progress, but only if the the tool is accurate and responsive. 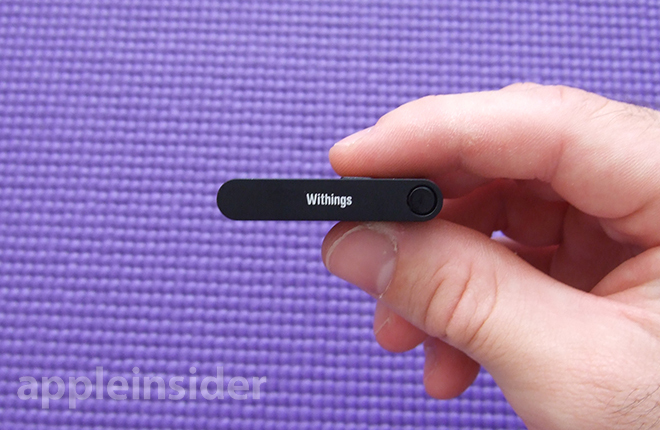 Withings did a great job in designing an interface that works with the Pulse's small screen. 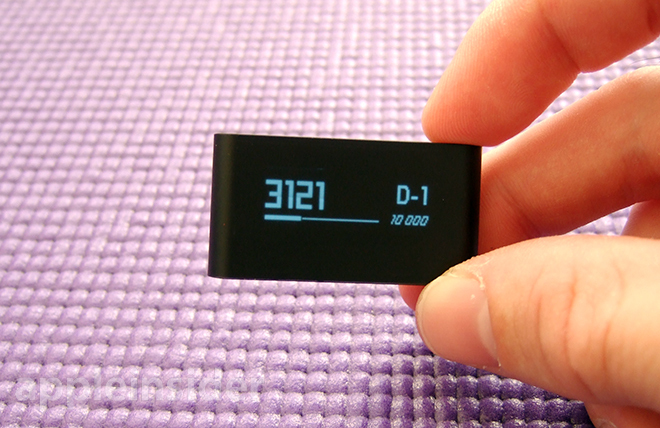 The physical button activates the display, which defaults to a pedometer with graphical bar representation of how many steps were taken toward the day's goal. Pressing the button again cycles through elevation, distance and calories burned. A fifth press brings up the heart rate sensor and sleep tracking mode controls, while the final screen shows a clock with battery life indicator and the name of the user whose account is synced with the device. The display shuts off automatically after a few seconds, but the Pulse will remember where you left off for about one minute. After that, it automatically cycles back the default pedometer screen. Within each mode, a history of the past ten days' worth of activity is kept stored for easy access. Swiping back to the day before, or five days before, users can track their progress. This is especially helpful for heart rate readings, which can be referenced after a daily run or workout session and compared against previous days' data. Withings says the feature is meant to motivate, and we did indeed find ourselves browsing through the stats, seeing if we reached our goal for the day. Unfortunately, there is no way to set a daily goal other than the 10,000-step achievement pre-installed on the device and app. The limit is definitely too low for active users, or those who live in cities where walking is the main mode of transportation. For runners, the Pulse also features automatic run-detection, meaning users don't have to manually put the device in a special mode before hitting the road. In our tests, the feature worked well, logging the general times when we started and stopped running. The system tracks walking and running rather well considering initial calibration consists of entering generic age/height/weight data. Distances were not as precise when compared against a GPS-enabled app, but they were in the general ballpark. When acting as a plain vanilla pedometer, the Pulse impresses. In an accuracy test, the device kept up nearly step-for-step as we counted along while walking up and down hills, on flat ground and at different paces. Results were identical when using the provided belt clip or kept in a pocket. Heart rate monitoring is the marquee feature here, but the dependability of the readings leaves much to be desired. For example, when taking a resting heart rate measurement after no exercise, the device would sometimes give a reading above 120 beats per minute. Immediately taking a second reading would yield something closer to normal. A light touch is needed when using the system, as too much pressure squeezes the capillaries, reducing blood flow, which in turn generates an error message. On the other hand, too light of a touch would cause readings to vacillate wildly. Sweat also caused errors, something you wouldn't expect from a device made for tracking workouts. Basically, the pulse measurement is a great addition in theory, but Withings' execution on this particular product is somewhat subpar. 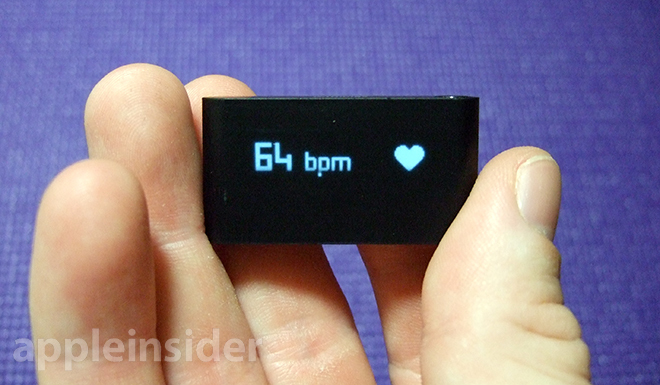 In the same menu pane as the Pulse's heart rate monitor is an option to enter sleep mode. Data collection remains the same, but the device's output algorithm is tweaked to compare against minute movements associated with shallow and deep sleep. Like a number of iOS sleep tracker apps that accomplish the same thing, the Pulse does what appears to be a good job, though it's hard to tell since, well you're sleeping. The way we tested this feature was to log the time we got into bed, approximate how long it took to fall asleep and log the time when we awoke. Putting our estimated data against the Pulse's, we found the sleep mode to be consistent in marking sleep/wake times, though we're unsure of deep sleep versus light sleep, making the mode's gathered data more of a convenience than an elucidating metric. 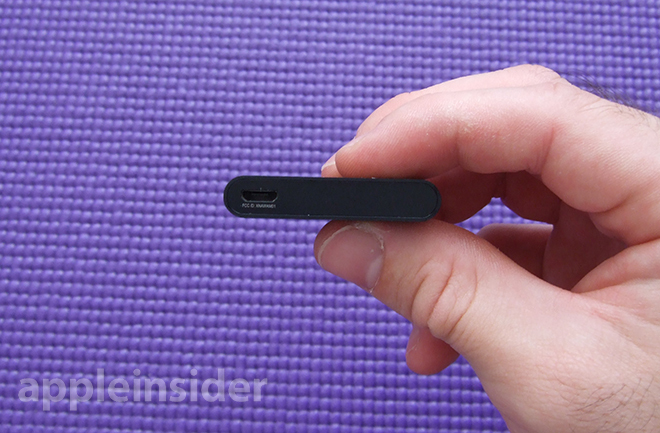 Using Pulse in sleep mode requires users to stick the device into Withings' included wrist band. The accessory is well designed, with a cutout on the back for the heart rate monitor, and a mesh front for access to the device's touchscreen. 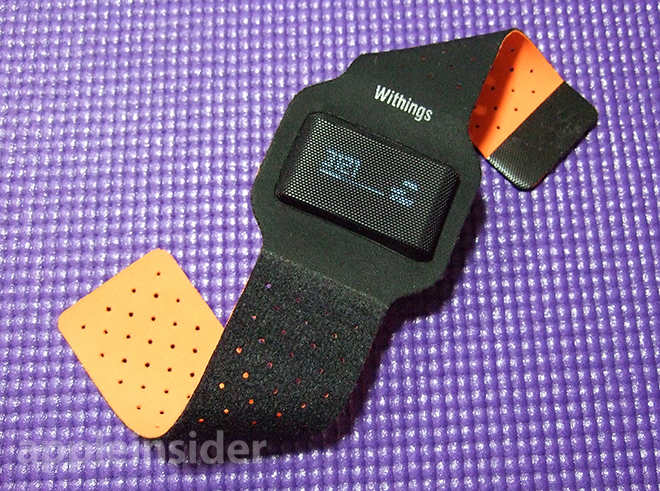 Withings points out that the band should not be used for activity tracking, as the Pulse was not meant to be worn on the wrist when tracking physical activities. One final note on sleep mode: users have to manually exit the function when they awake. More than once, we forgot to take Pulse out of its sleep tracking setting, ending up with nearly 24 hours of sleep time and no activity data for the day. This was obviously user error, though it highlights the fact that it may take some time for users to form new usage habits. Syncing is automated and initiates about four times a day without user intervention as long as the Health Mate app is running in the background. Forcing a sync can be accomplished by depressing the physical button for three seconds. The data is sent via Bluetooth and, depending on how long it has been since the last sync, takes just a few seconds to complete. While useful, the Pulse's display can only go so far in representing a user's progress, or lack thereof. 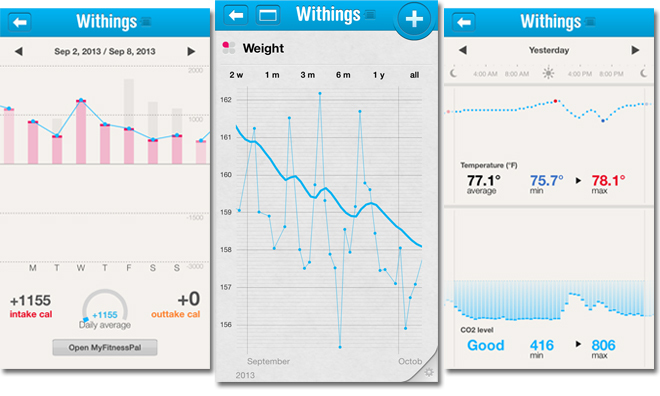 To compile and chew through the raw data, Withings offers the companion Health Mate app for free. The software connects with many of the products in the company's ecosystem, including the Smart Body Analyzer scale, to give users a cohesive metrics overview in one place. The free Withings app provides fairly in-depth data gathered in a central repository that offers the most current metrics, as well as easy access to device history for each of Withings' devices. Activities are broken down by category, with a unique graph for each. For example, the weight category projects logged measurements in a line graph with absolute points laid over a curved average. At the top of the UI is a feature called "Wellness Levels," which shows a graphical representation of weight, activity, sleep and heart data. Each category is presented as a section of a butterfly's wings, which fills with color depending on how many readings for each attribute have been logged, as well as how a user is doing on reaching their goals. The more color, the better the score. Withings' app connects to and pulls in information from other apps and other devices, but has trouble integrating the numbers with those generated by the Pulse. With this level of interconnectivity, there is an opportunity to present raw data in a meaningful way, but the software needs to be up to the task. Withings' app is not yet at that point, though a recent update fixed an issue with calorie counting app MyFitnessPal, allowing Pulse's estimated calories burned to be deducted from calories consumed. There are a few nice features built in, like reminders to take pulse readings, weigh in, measure blood pressure or set a bed time, but the app exists mainly for viewing data. 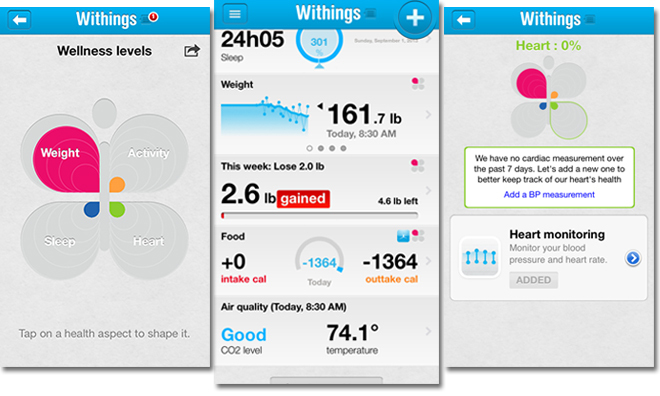 A user's metrics can also be uploaded to Withings' Health Mate Web app. The feature is still in beta, but currently adds little benefit to the iOS app aside from the ability to access statistics via the Web. The Pulse is one of the more sensor-laden activity trackers on the market today and delivers on a lot of Withings' promises with a few caveats. The pedometer and run tracker functions are accurate, as is the sleep monitor, while the ten-day history is great for keeping track of progress. A novel inclusion, the integrated heart rate monitor adds even more data to the pile, but spotty performance takes away from the feature's utility. Despite all the data that's being collected, though, the Pulse fails to present it in a way that is meaningful to the average user. The Health Mate app offers a bit more visual flair with graphs, yet it too fails to bring the data together. For advanced users who know what to do with the information, the Pulse currently has no equal in metrics measured. Without an easy way to digest it, however, casual users may be overwhelmed by the glut of data points and numbers. A little studying up on average activity levels, like steps taken and heart rate readings, would go a long way for those not familiar with fitness trackers. While small and ultra-portable, the Pulse's wearability is not what we would consider typical of wearable devices coming to market. Instead of having it strapped to your body at all times, the device is more along the lines of a traditional pedometer. As such, a bit of behavioral modification may be required to get into the habit of slipping it into a pocket or purse before leaving the house. 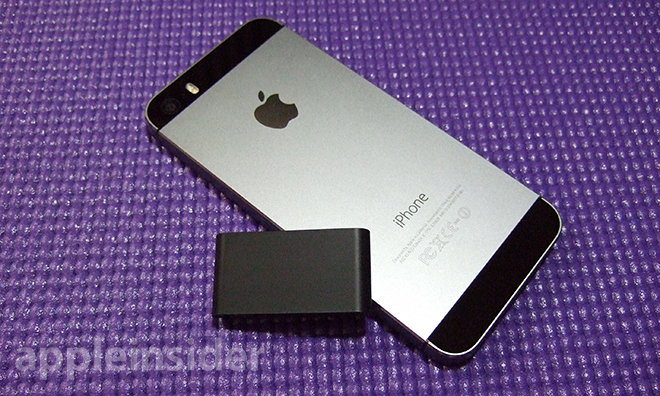 This "pick up and go" carry method may be a turn off for some users, but after a week, the Pulse just becomes another thing to remember, like an iPhone. Withings has a nice piece of hardware that is limited by a lack of software polish. As it stands, the Pulse's cornucopia of measurements is impressive, but the device needs enhanced firmware features and an upgraded app to really shine. The Pulse retails for $100 and comes with belt clip, wristband for sleep monitoring and USB charger.